Dennis Public Library: Archaeology at the Cape Cod National Seashore - CANCELLED! Archaeology at the Cape Cod National Seashore - CANCELLED! Saturday, October 5 at 11:00 a.m. - CANCELLED DUE TO GOVERNMENT SHUTDOWN. This event may be rescheduled at a later date. Come help us celebrate Massachusetts Archaeology Month by taking a look at the Cape’s own National Seashore. The lands of Cape Cod National Seashore hold many wonders, such as beaches, dunes, ponds, and marshes, yet many people aren't aware of the historical treasures within these lands like historic houses and over 300 archeological sites. Archeologists recently discovered a significant site in a remote corner of Bound Brook Island in Wellfleet: the Baker-Biddle site. Famed "Banana King" Lorenzo Dow Baker, and later Franklin Roosevelt's Attorney General Francis Biddle, called this place home. 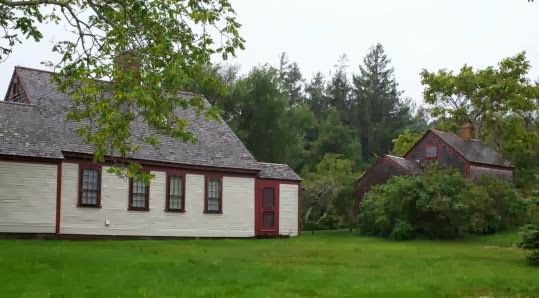 Join National Seashore Historian William Burke for a glimpse at the wonderfully rich prehistoric and historic archeological finds from this property, and what they tell us about life on the Outer Cape thousands of years ago.